You really can’t beat an Autumn wedding; there is something entirely magical about the changing of the seasons, and never more so than when the jewel-like colours of the turning leaves are combined with a cloudless sky and the golden slanting sunlight. 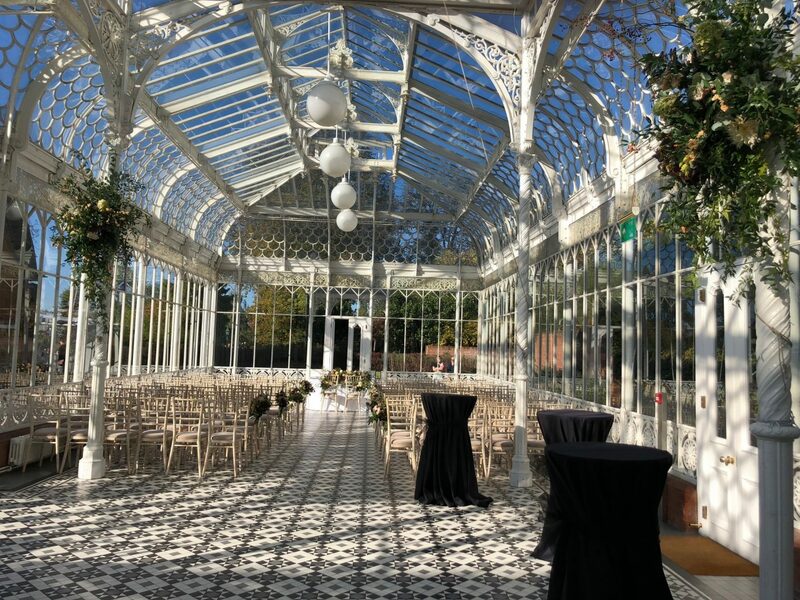 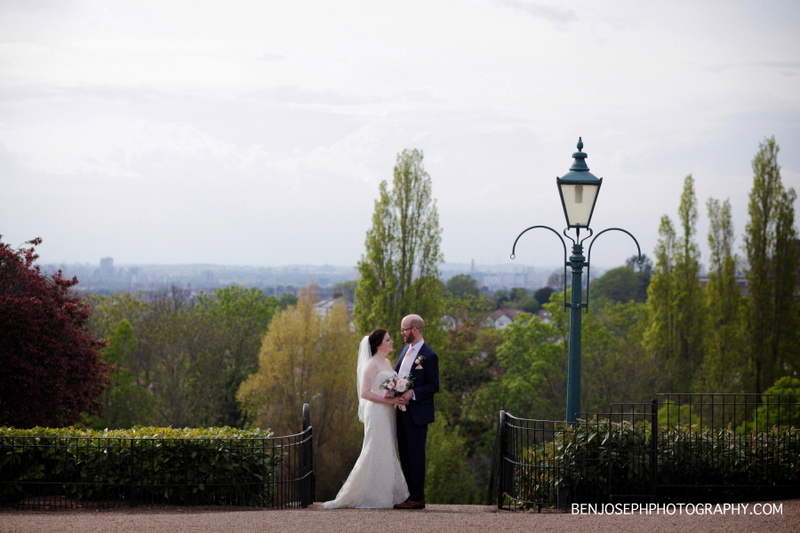 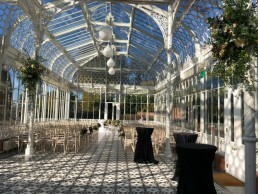 Last weekend really was glorious with blue skies and temperatures warm enough to lure us all outside there was no doubt it was a wonderful weekend to get married and our Bride & Groom at the Horniman Conservatory made the most of every moment of their day. 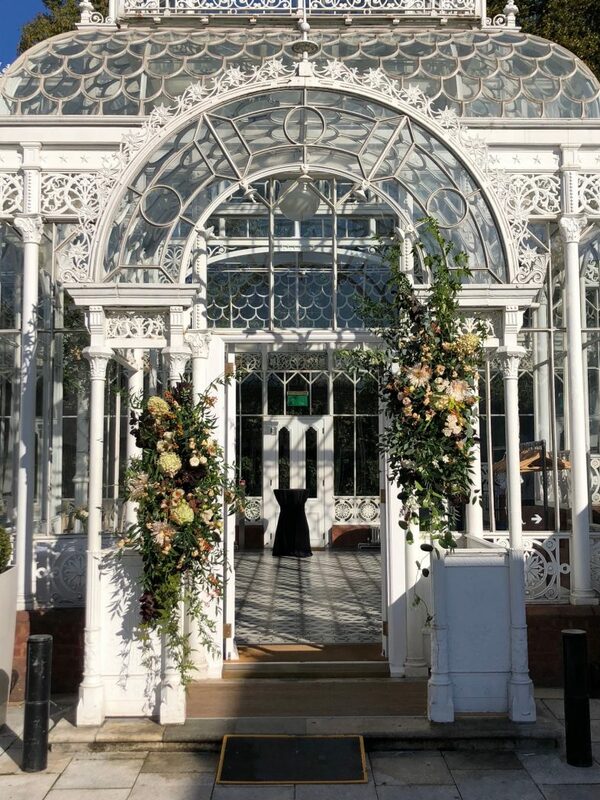 The venue looked stunning with gorgeous flowers provided by The Fresh Flower Company in North Cross Road decorating the porch doorway as well as the aisle and internal pillars. 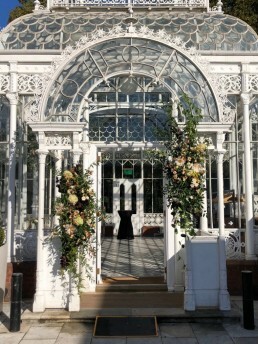 The arrangements were a very relaxed and informal garden style using scented garden roses, herbs, astrantia, hydrangea and lisianthus. 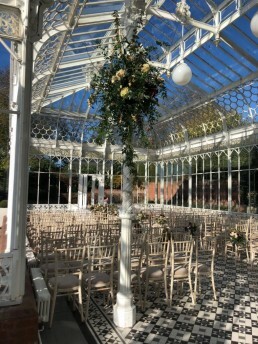 Foliage and branches were key to the wild, informal look and the contrasting pastel and deep autumnal shades added a sense of drama whilst the eucalyptus and rosemary added subtle, uplifting scents to fill the room during the ceremony. 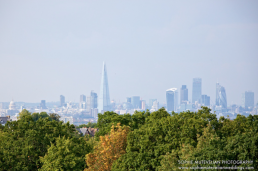 Afterwards, guests followed the Bride & Groom up to the Bandstand for Drinks & Canapes and enjoyed stunning views across London which improve daily at this time of year as the leaves tumble down. 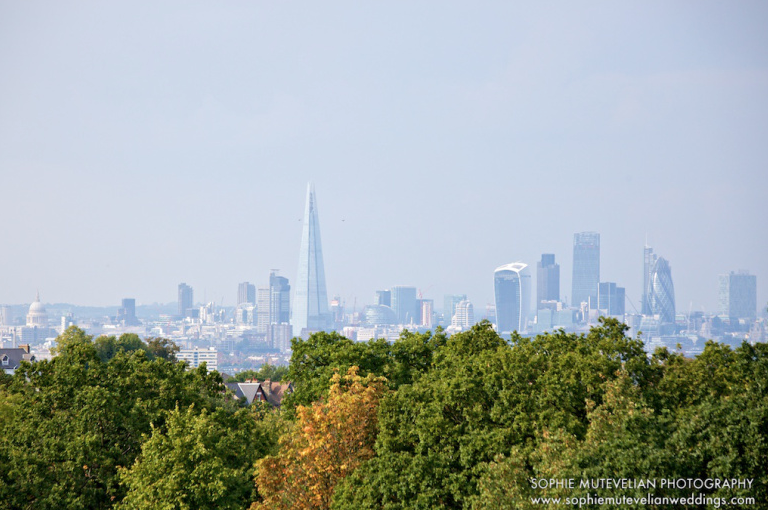 It always takes my breath away and amazes me to think we are only about 6 miles away from Big Ben and the Houses of Parliament!